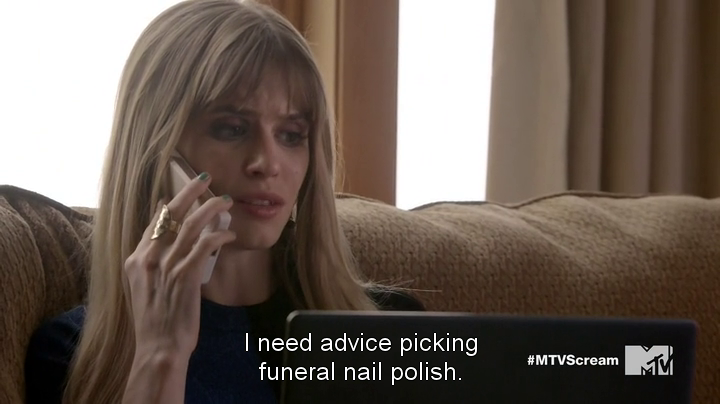 There is a hilarious conversation in this episode: it comes at a tragic moment (one of the protagonists has been killed) but Brooke Maddox (Carlson Young), the spoiled brat of the bunch, is able to relieve it. 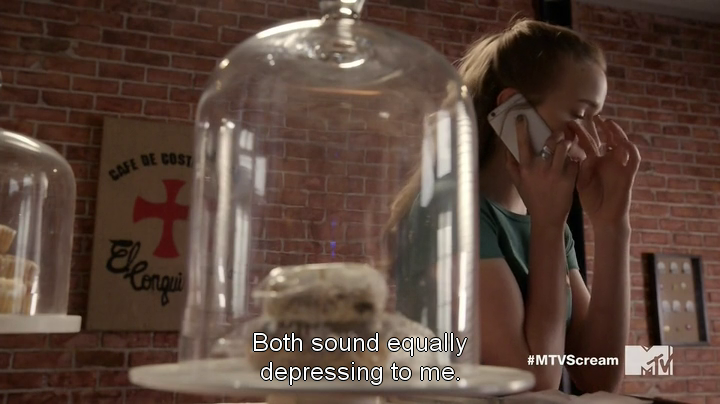 She calls Emma (Willa Fitzgerald) asking to help her choose “funeral nail polish”. 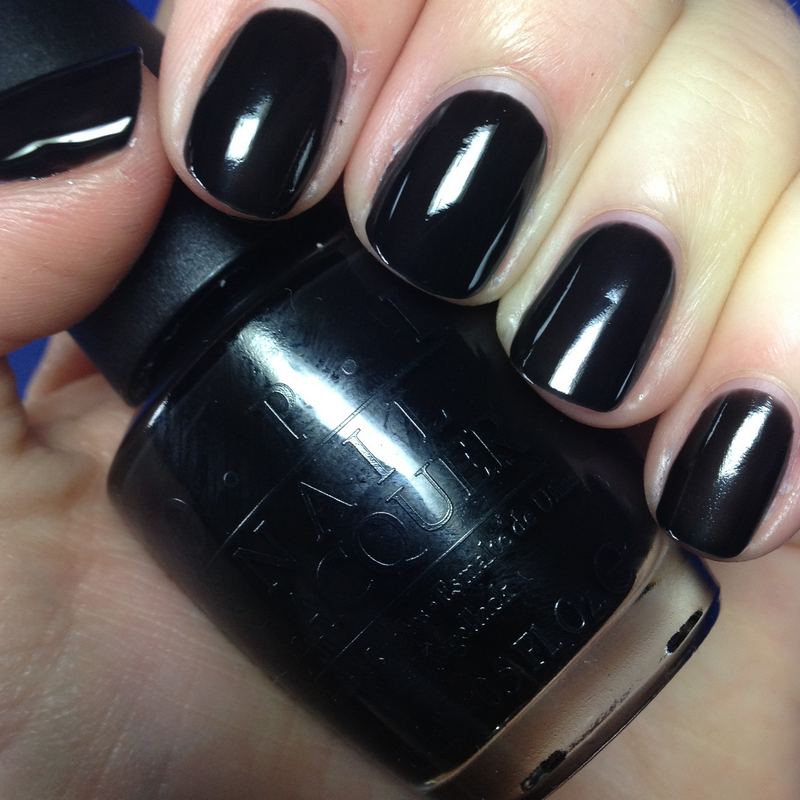 Both options are by OPI: the first shade she mentions is Titanium (shimmery dark silver, from the fall 2014 Designer Series collection), while the second is Black Onyx (classic black from the core collection). The girl finally opts for Black Onyx, commenting that her friend would approve. Who knows? Maybe she’s right. Too bad we will never know.